Xbox Live Arcade has changed the way many people see video games. Previously, games needed to be huge creations backed by a giant budget and hyped up to no end to be successful. Art and creative expression often took a backseat to what would make companies the most money. Xbox Live Arcade's flexible pricing and digital delivery has allowed developers to focus on creativity and narrative rather than shiny effects and hype. Bastion is a perfect example of what developers can do when they aren't shackled by the usual business aspects of releasing a game. 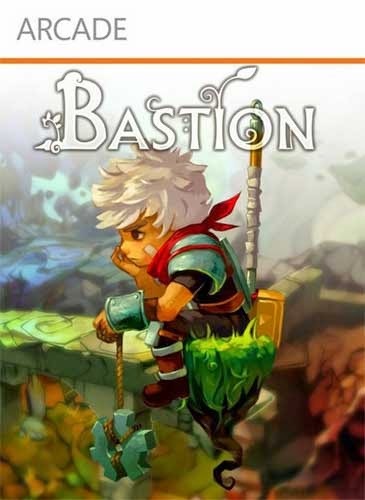 Bastion is an Action Role-Playing game created by independent developer Supergiant Games and published by Warner Bros. Interactive Entertainment. Released in 2011 on Xbox Live Arcade and PC and in 2012 Mac, Bastion is one of the highest regarded Live Arcade games ever released. 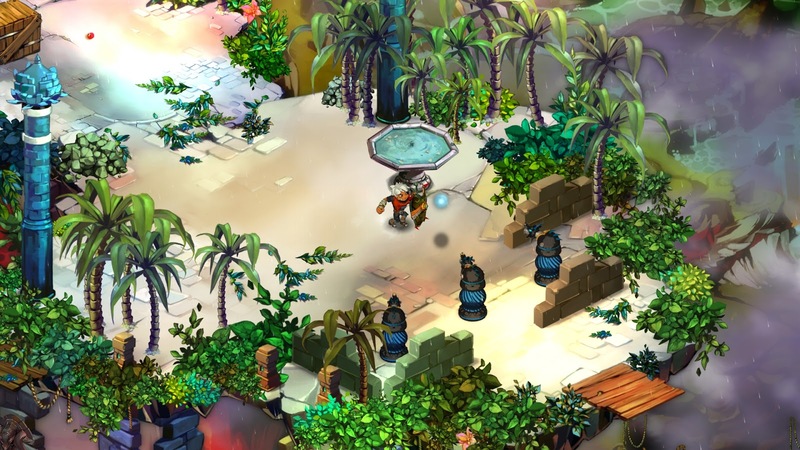 Bastion takes place after a horrible disaster befalls the game world. Known only as "The Calamity", the disaster destroys the city of Caelondia as well as most surrounding areas. What remains of the world is only floating chunks of land that have arranged themselves into a new world. The game follows "The Kid" as he awakens from his sleep to find a world that has changed completely thanks to the Calamity. The Kid heads to Caelondia's last refuge known as The Bastion. From here, The Kid meets a man who explains that the Bastion is all that remains of the previous world, and that it has the power to rebuild everything as long as The Kid finds magical cores throughout the world. With that, The Kid heads off to begin the task of rebuilding the world, a quest which will expose him to the truth of what caused The Calamity in the first place. It all comes down to this floating island of fun. 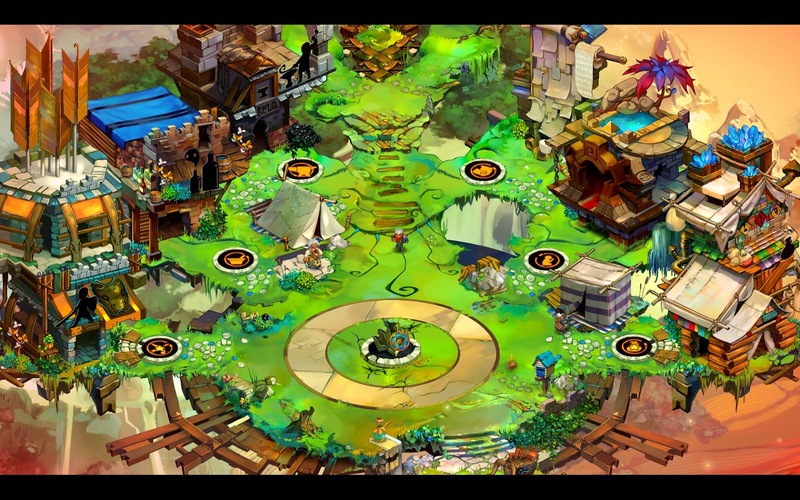 The easiest way to explain Bastion is to describe it as a storybook that is read to you as you play it. As you move the kid throughout the world, a narrator describes your actions as well as your surroundings. This narrator gives you the history of the world, enemy descriptions, and even hints as to what to do next. Bastion has a wonderful, hand-painted graphic style that is beautiful and extremely colorful. Enemy and character models are three dimensionally animated, though they still appear to be just as hand-crafted as the environments. As The Kid explores his destroyed world, pieces of land float up underneath his feet, adding an interesting touch which stresses the fragmented nature of the new world. During his quest, The Kid will come into contact with a number of hostile creatures that want to keep the cores for themselves. The Kid can equip two weapons and a special skill, all of which help in combating the enemies of the wild. There are around 10 unique weapons that can be equipped and combined at will to find what works best together. Combat in the game is relatively shallow, but stays fun thanks to the creative variety of monsters. Weapons can be upgraded using items found throughout levels to better prepare The Kid for fights. New challenges are unlocked as the Bastion is rebuilt, as well as new options for upgrades. As The Kid defeats enemies, he levels up gaining more health and a new slot in the Bastion's distillery. In the distillery are spirits which can be equipped to give The Kid passive bonuses during his journey. Every kid needs a shield for ball blocking! Bastion is definitely a unique experience, though I don't necessarily think that it deserves as much praise at it has gotten. To be honest, the game's story is pretty par for the course when it comes to video games, which I found disappointing. The feeling that you are in a storybook that is being written as you play is extremely cool though, and Bastion absolutely deserves praise for its artistic value. 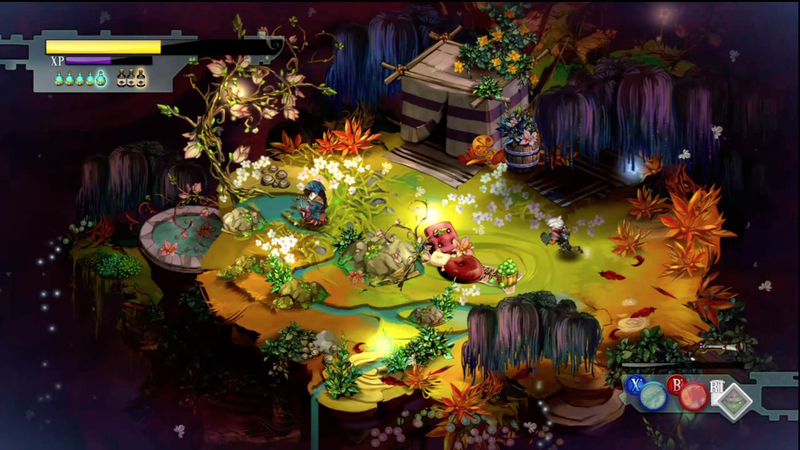 I can definitely recommend that everyone experience Bastion to see for themselves that video games can be a form of art. It also doesn't hurt at all that the game is really fun!